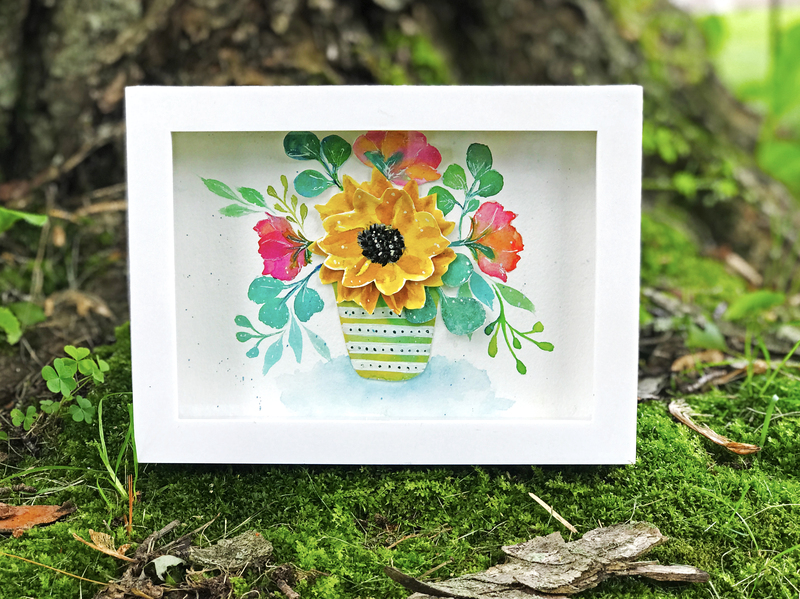 In this class, you will learn how to paint whimsical flowers, leaves and greenery with a twist. We’ll explore brush techniques and color combinations to create dimension, depth and texture. We’ll also hand cut some of the painted elements and use them as layered embellishments to create a 3D look for your painting. I’ll walk you through each watercolor painting and brush technique, demystifying the how to’s along the way before we start creating the final project together. This project is so much fun with techniques you can apply to your work over and over. There are endless possibilities to what you can do with the final product and the paper pieced, layered embellishments really dial up the whimsy. This project is so much fun to create and is perfect for gift giving or framing. Each video lesson breaks down the watercolor painting techniques into smaller chunks giving you the ability to follow along using the practice handout. For the final project you will be bringing together all of the techniques you learn in the videos to create an exploding with color, 3D floral project that looks like it's popping out of a vase. Together, we will walk through all of the techniques that and create the final 3D Sunflower project. Remember you can change color combinations and use the watercolor supplies you have on hand and still achieve the look and feel you desire to create this project. BONUS Download: A Gift of Grace from Me to YOU! 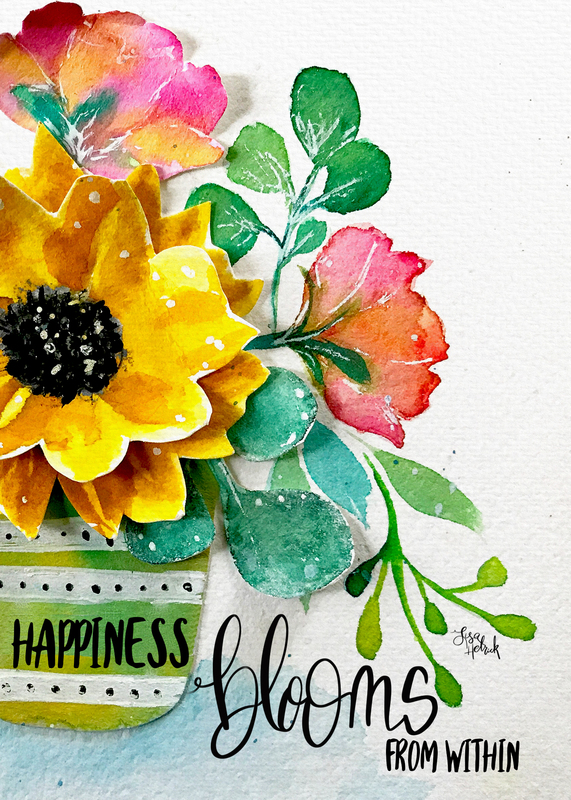 FREE Happiness Blooms 5 x 7 Art Print Download featuring my original 3D Sunflower Art. Download, print and Enjoy! This class is perfect for beginners and/or seasoned papercrafters, watercolor artists and hobbyists. It is my intention for you to have FUN, enjoy painting and creating this fun 3D paper art project.